From the threadbare rock and roll vibe to on-point dressy denim, there’s no denying that jeans are an iconic anchor to any wardrobe. Slip into something more you with our definitive guide on fit, wash, rise and style. Want the full scoop? Here’s our simple approach for finding the best jeans for you. Over the years, we’ve seen high rise, low rise and everything in between. While we love to follow trends, it’s a good idea to figure out what rise best complements your body type—and take it from there. If you want to show off your curvy hips, low-rise jeans are a great option. Just make sure they fit snugly at your hips to avoid the dreaded waist-gap problem. Athletic body types can also rock a mean low rise. Because you may not have the curve in your hips, the jeans may hang a little lower so make sure to choose a fitted style with stretch. This is the most figure-friendly rise out there; comfortable for all body types, and a bit of a secret weapon for all of us who want a little more structure around our midsection. 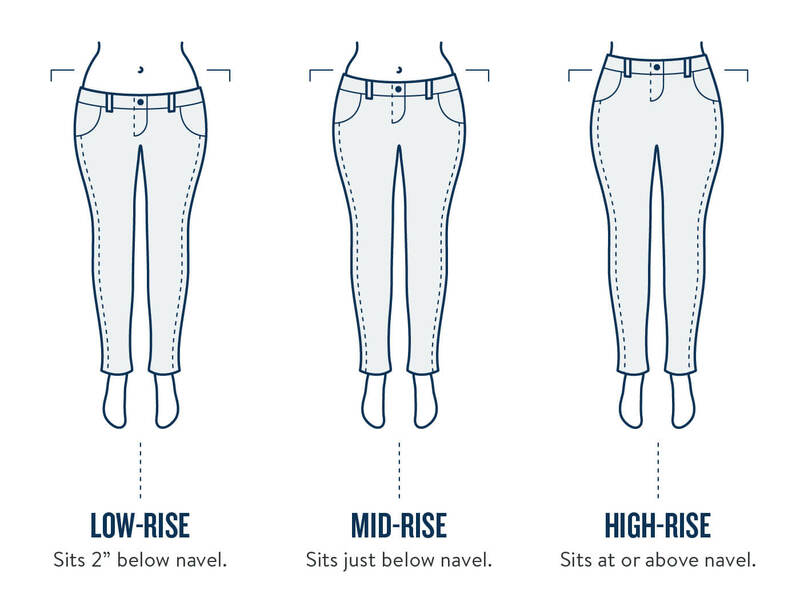 Mid-rise jeans are also really compatible with just about any top length, which makes them a great go-to all around. This fit is often viewed as “retro” but the truth is, it’s classic. Athletic body types with smaller waists will love this fit. 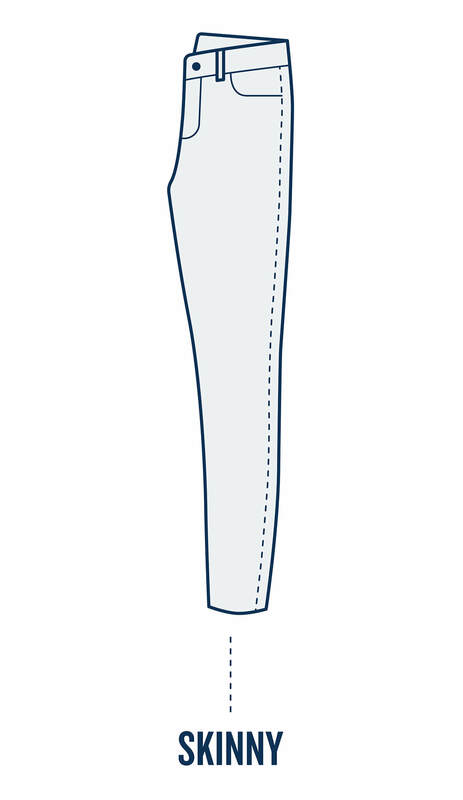 Hourglass shapes on the slender side look fantastic in high rise jeans with stretch. This is a perfect style for cropped tops and tuck-ins. From classic to trendy, fit is a great way to express your unique personal style. There’s no one answer here, and we love to mix it up. Like flares, there are varying degrees of this fit. For a dressier look, pair with a blazer and heels, and choose a more slim cut overall. Boyfriend jeans look great on apple and athletic shapes. Jeans that have a looser fit typically pairs well with fitted tops (skip the volume this time!). If you’re looking for the perfect fit, look for denim with lots of stretch to give you that ultra-laid back look. 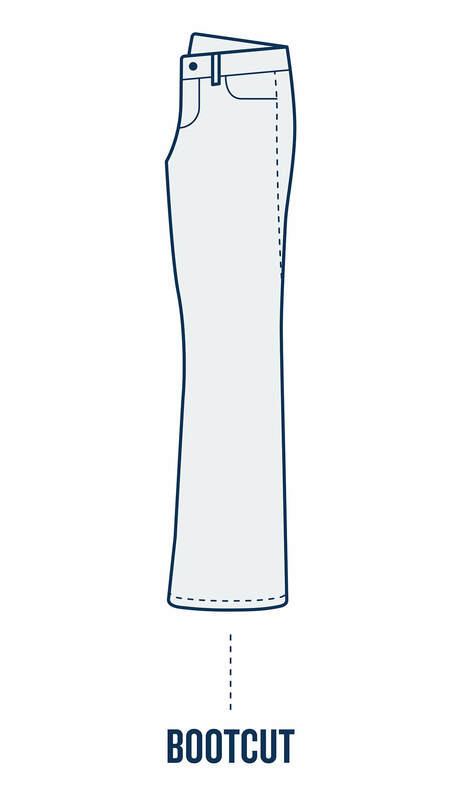 If you want something with more structure, opt for less stretch and a simple cuff at the hem. What are straight leg jeans? Straight leg jeans are the more laid-back, less body -conscious cousin of the skinny jean. If you’re not totally down with skin-tight jeans, try a straight jean instead. Hourglass, apple and athletic shapes will all rock a straight leg with style and grace. We love a classic straight jean wore with a simple ballet flat, tailored striped shirt and blazer for that Audrey Hepburn look circa 1958. More of a casual girl? An easy T-shirt, jeans and sandals (or boots) is a timeless uniform. This fit is a sort-of cousin to the flare, and look great with a boot heel that’s anywhere from 1.5-3”. It’s a more subtle wide-leg that’s a more modern take than their wild-child cousin from the 60s. 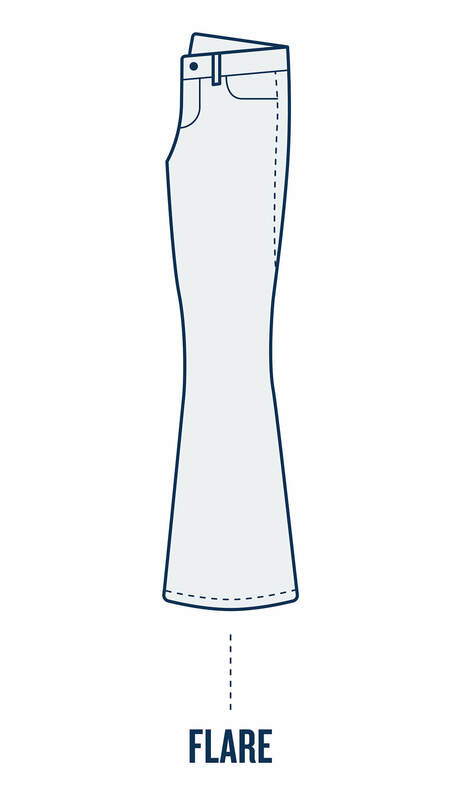 Hourglass and pear shapes love a good bootcut jean. Bootcut jeans have major wearability—which is why they keep coming back. We love them with easy flats and booties alike and with their ultra-universal silhouette, it’s hard to pick which top to wear. There are flares, and there are flares. If you want to make a statement, rock a big bell (usually 10” or more across the bottom hem) that hits the floor. Flares look great on pear and hourglass shapes. 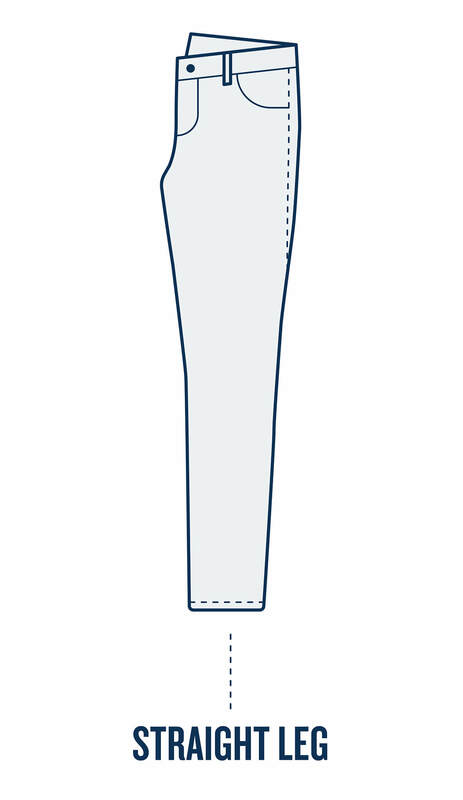 Petite Tip: Look for the right inseam for you! You’ll want something that grazes the floor and doesn’t’ overwhelm your frame. Flares, by their very nature, run long. 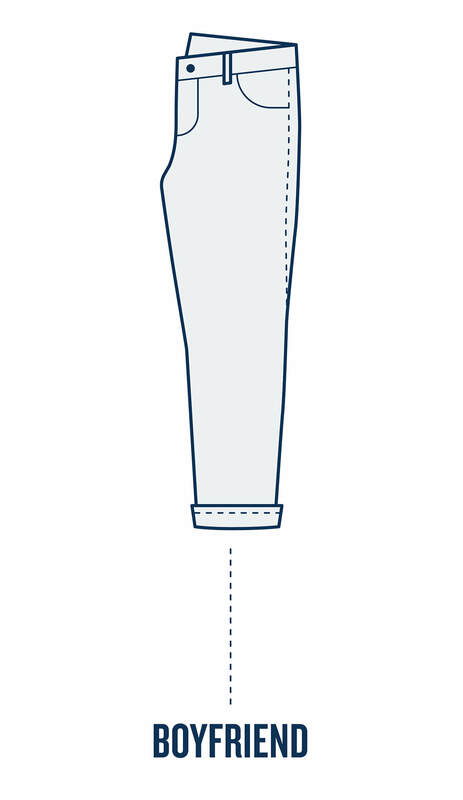 Look for the inseam that’s right for you, and then choose your heel height accordingly. Play with proportion and either wear an oversized top for that ‘70s vibe, or go ultra-fitted to show off your waist. Despite the name, this jean has nothing to do with your figure—it just means these jeans are the slimmest at your ankle compared to all other silhouettes. In fact, thanks to stretch denim, everyone should have a pair in their closet. All (yes, all!). But we get it—they’re divisive. It comes down to wash here: pear and hourglass shapes look best in dark wash skinny jeans, while apple and athletic shapes can try lighter washes year-round. Skinny jeans are the perfect accompaniment to loose, oversized tops. Which, last time we checked were #trendingnow! Whether you’re curvy, straight or petite, play with the volume on top to create balance. If you love fitted tops, those work too! You’ll create a streamlined silhouette if you go for sleek on skinny. Great news: When it comes to wash, it’s all blue skies for you—there’s really no wrong or right when it comes to wash—it’s all about your personal preferences. Generally speaking, darker washes are best for going dressy, and lighter washes are great for beachy vibes. But your blue (or black or grey or white…) up to you. A dark wash pair of jeans is universally appealing to all shapes & sizes (and wears over time like a dream). Look for dark blue and black washes to add to your collection. Make sure you know how to wash black jeans properly so they don’t end up fading. We like to call this the workhorse wash. From day to night, summer to winter—it’s always appropriate. What’s a wash tip to keep in mind? The lighter the wash, the more casual the vibe. Pro tip: Look for a seriously faded wash and pair with a light neutral top for a monochromatic look. Elevate a basic jean-and-tee look with a darker hue like burgundy or olive. Punchier colors are great for warmer months. Now that you know the jeans that’ll fit your figure best, don’t forget to tell your Stylist so she can send you your new favorite. Plus, they’ve got a lot of experience in finding their own perfect pair too!